Oct 30 Fireside Chat features Halloween fun! Don’t forget to come to the club’s Fireside Chat on Friday, October 30. Details are below. 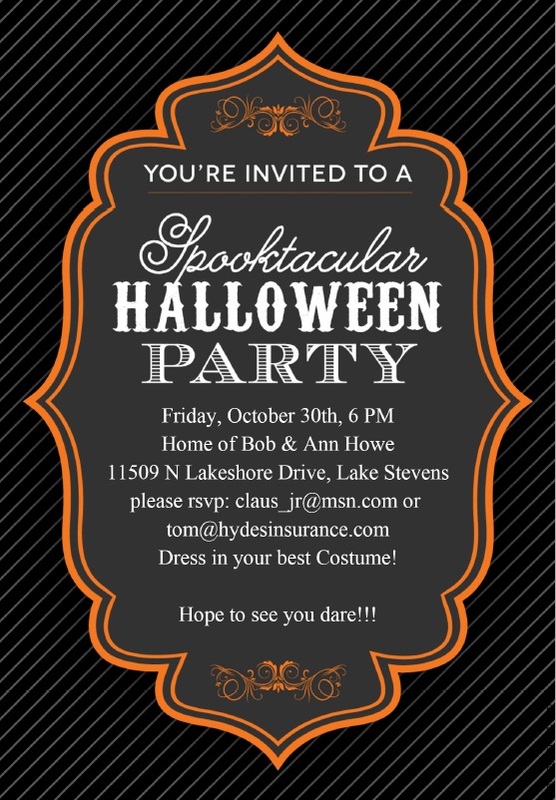 Howe’s Halloween Invite 10-30-15Bob and Ann just moved to their new home on Lake Stevens. It’s a beautiful place that is over 100 years old. I think they got a deal because of tales that it is haunted. Bring your spouse if you have one or your kids if you dare or even a friend that we could snare into joining our Club. A variety of beverages will be provided. Bring a Halloween appropriate appetizer or dessert. What to wear? Whatever will set you apart from your norm. Prizes will be bestowed on the best costume and for the best Halloween presentation of appetizers ans desserts. See you all Thursday and Friday.